But, before you consider blogging, you might be wondering about a niche blog, or a lifestyle blog, and figuring out what to blog about. The idea of blogging is exciting though, and you can’t wait. Twins Mommy stemmed from a lifestyle blog. I went from my business-type freelance writing blog to Twins Mommy where I wanted to blog about being a work at home mom. And, this blog has evolved! To help you be successful from day one, let’s go over what a lifestyle blog is and if that’s the right type of blog for you. 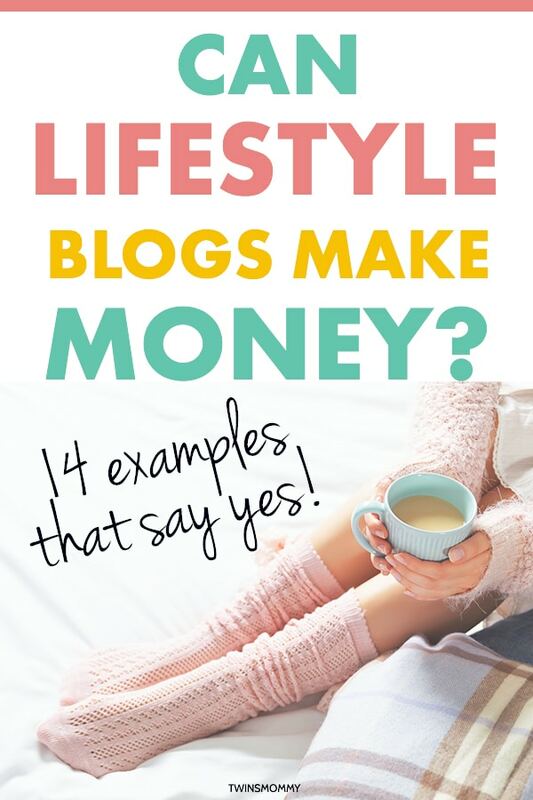 I’ll then dive into how lifestyle blogs make money and how to choose the best blog post topics for a lifestyle blog. Finally, I’ll feature some amazing lifestyle blogs so you can gain some inspiration from them! 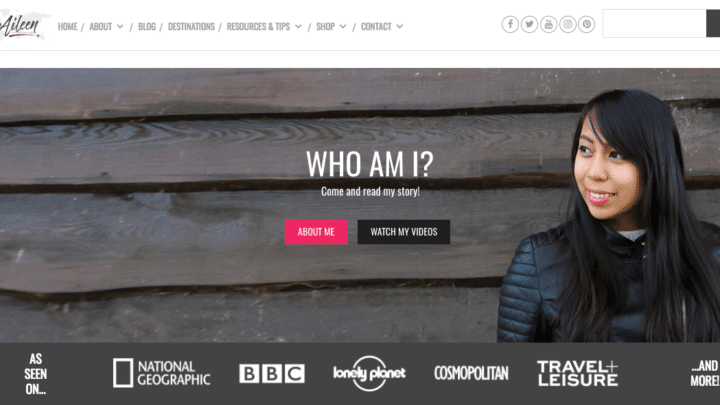 So, what is a lifestyle blog? What I consider a lifestyle blog is one that is about your life and personal interests. Their blog is basically curated from those daily activities and experiences. What’s so fabulous about lifestyle blogs is that you’re sharing how you live your life online. Lifestyle blogs are therefore passion-driven and community-driven, rather than business-driven. Lifestyle blogs also have more than one topic – or blog niche. And all the topics don’t necessarily mesh together. 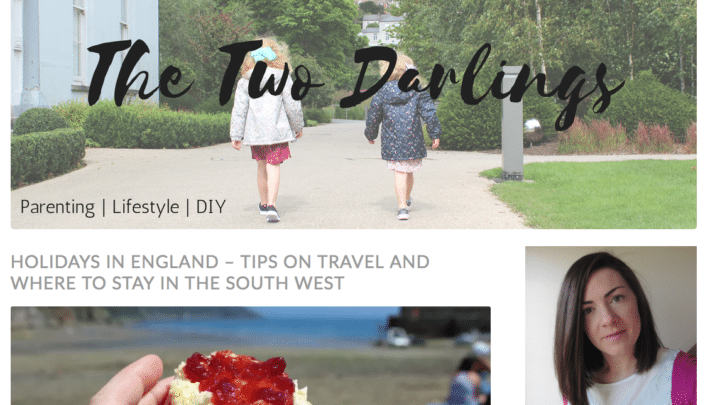 A lifestyle blog can blog about travel and cooking or parenthood and fashion. It’s the life topics that shine on these types of blogs. Some lifestyle blogs focus on one aspect of their life such as parenthood while others may focus on several issues like their running journey, beauty tips, and college life. I also feel that the majority of lifestyle blogs are visual heavy. Their images show their life and creations, so images take front center on these types of blogs (but not all the time). You don’t have to be a photographer to have a lifestyle blog. As I mentioned earlier, Twins Mommy stemmed from that lifestyle idea of wanting to share my life as a work at home mom. I wrote blog posts about challenges I had, what I fed my twins and how I organized my work. The topics were varied, and that’s what I wanted when I started Twins Mommy. 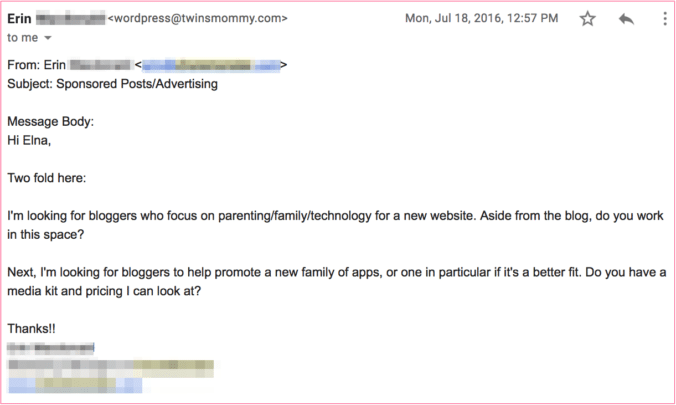 But, as many blogs have done in the past, Twins Mommy pivoted to what it is now – a more demographic niche where I focus on a specific demographic rather than on the topics. Should You Have a Lifestyle Blog? If you want to start a blog, I feel the best advice I can give you is to start your blog as if it’s a lifestyle blog. Because I know how exciting it is to start a blog. You have a million ideas floating around in your head and you want to blog about all of them. Well, you can with a lifestyle blog! Let your passion be the driver, and I can assure you that blogging won’t only be fun, but help you make money too! When starting your lifestyle blog, I suggest you pick 3-5 topics to blog about. You can also pick one main topic – beauty – and then blog about different categories of beauty like fashion and makeup. Okay, you know what a lifestyle blog is, but what is a niche blog? A niche blog is one that focusses on one main topic. But, did you know you can merge a lifestyle blog and a niche blog? Pick one main topic – health – and then branch out from there! Many successful bloggers feel that niche blogs are the best types of blogs to make money, but that’s not necessarily true! While my main core niche does make me the most money, my lifestyle blogs make good money too! The two main ways many lifestyle blogs make money are sponsored posts – working with brands – and affiliate marketing. Sponsored posts are a result of working with brands. You are essentially promoting a brand’s product in your post and marketing it to your audience. In return for that promotion, the brand will compensate you. Here’s Stacey’s sponsored post on her blog promoting Kandoo. So, you get money writing, and the brand gets more exposure and a new audience for their brand. A perquisite of working with brands to make money with your lifestyle blog is you need a large audience. You don’t need a HUGE audience, you just need an engaged audience that fits with the product or service you’re promoting. Where do you find these brands to work with? An easy way new lifestyle bloggers can start this is to use sponsored networks like Activate or Social Fabric. You sign up and the network will match brands to your blog’s overall niche topics. Another way is to find companies and pitch them your blog and brand. You will need a media kit showing your blog’s metrics like pageviews, social media follower numbers and social media platforms. This will make it easier for a brand to collaborate with you. After you’ve been blogging for a while, companies may reach out to you for a sponsored opportunity. A few months after starting Twins Mommy, I was approached by a family app company to do a sponsored post for their latest app. Since I’m a freelance writer and get paid for writing blog posts, I did give them my normal rate, which wasn’t in their budget. But, as a new blogger, this would’ve been a great opportunity to collaborate with a great brand and share some new products to your growing audience. The other main way lifestyle bloggers make money blogging is with affiliate marketing. Just like with sponsored content, you can join affiliate networks like Rakuten or Share a Sale, or you can join individual affiliate programs from brands. 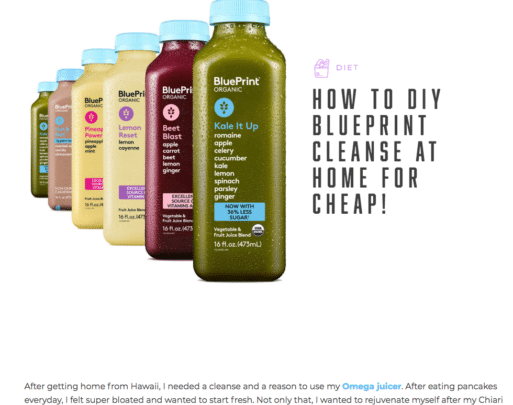 Here is an example of Sia of Diary of a Fit Mommy using Amazon affiliate marketing for making a green cleansing drink. With affiliate marketing, you can promote more than one product. When a user clicks on your link and eventually buys a product (not necessarily the one you are promoting), you get a commission. While those are the two main methods of generating income for lifestyle bloggers, one other way is by creating your own products. For example, Tone It Up – a health lifestyle blog – sells protein, apparel, and an app. For a new lifestyle blogger, however, you can make good money with just sponsored content and affiliate marketing. Okay! So what types of topics do lifestyle blogs have? Since lifestyle blogs draw from your personal life, anything is up for grabs. It’s up to you what you want to blog about on your lifestyle blog! But, to build a loyal audience, you want to stick to no more than 5 topics on your blog. Having more than that can be confusing to your audience and you may not get a huge audience that collectively enjoys all your topics. With fewer topics and more theme-related topics, you will gain a readership quicker. 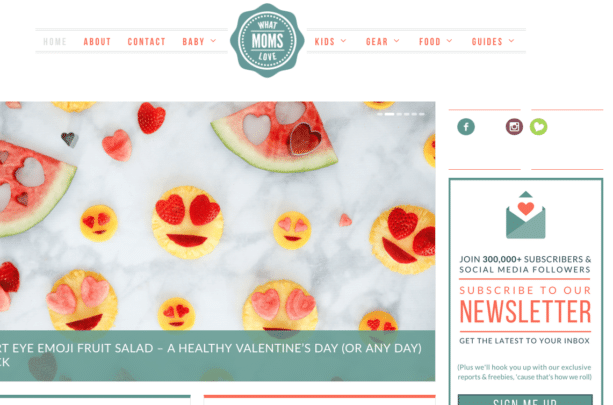 So as a mom you may choose motherhood topics, crafts, and food as your lifestyle blog. Other moms may focus more on health, their child with autism, and marriage. The topics you chose should be relatable topics where a large group of people could relate and enjoy your posts on those topics. Having a lifestyle topic on violins for example, may not draw a massive crowd of readers on your blog. So, consider what life topics you want to discuss on your blog to ensure you get some audience coming to your blog! As a blogger that helps other moms learn how to blog and make money, my core belief is to help your audience. And the way I do this (and teach others to do) is by not creating personal blog posts but instead, creating valuable blog posts that serve your audience. There is a whole other world out there where lifestyle blogs do the exact opposite, and many of these bloggers are making a full-time income. These sites are highly personal, highly community driven with millions of followers and brandable. Many of these lifestyle bloggers are branding themselves, and their followers are craving THEM! Their followers want to know more about THEM – the blog owner! 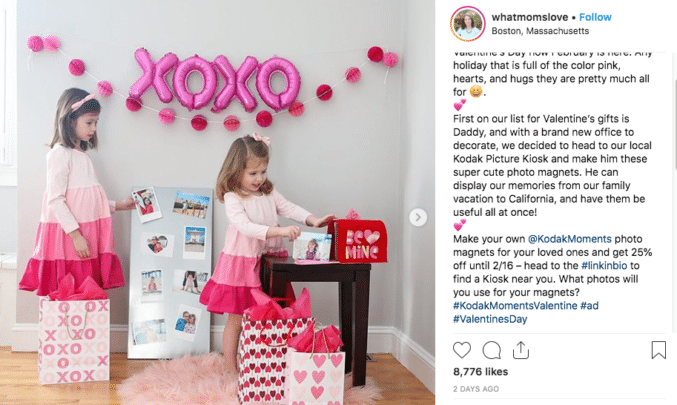 And these bloggers use that strategy of connecting with their audience by being super personal and then using affiliate marketing and sponsored content to help generate an income! Okay – the moment you’ve been waiting for! 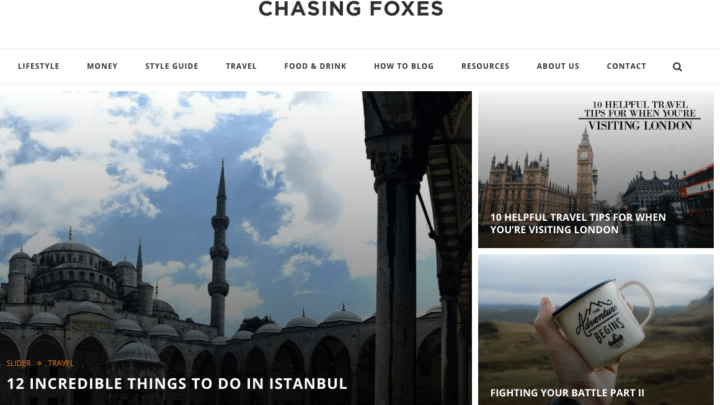 Let’s take a look at some lifestyle blog examples. These examples are highly varied. I include pure lifestyle brand blogs as well as lifestyle mom blogs and some niche-lifestyle blogs. From there I’ll also go into how you should promote your lifestyle blog (it is different than having a niche blog). 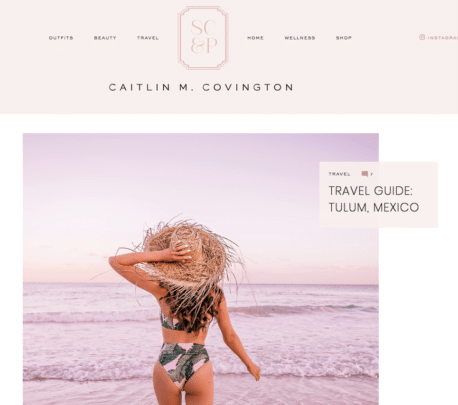 Caitlin’s travel and beauty lifestyle blog is gorgeous! Her pictures are beautiful. I can stay on her blog all day. And her posts are personal, authentic and highly visual. I love her post on her top 5 travel essentials. She expertly monetizes this blog using affiliate marketing for the products she writes about but also shows these products in her gorgeous pictures. Hayley’s blog is amazing! I wish I were as crafty as Hayley with my home decor. 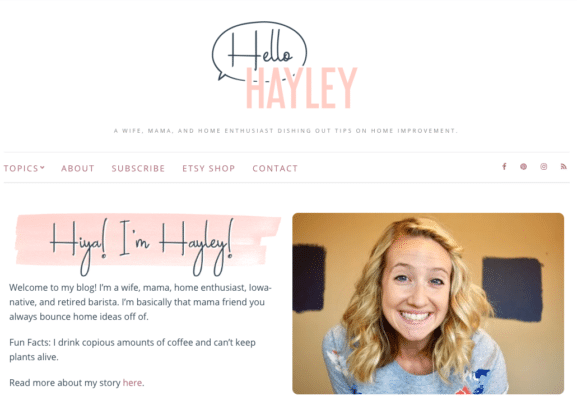 Hayley blogs about motherhood, home + DIY, before/after and decluttering. I love her before and after posts. When we buy our “forever home” I’ll be sure to check out more of Hayley’s home improvement posts! 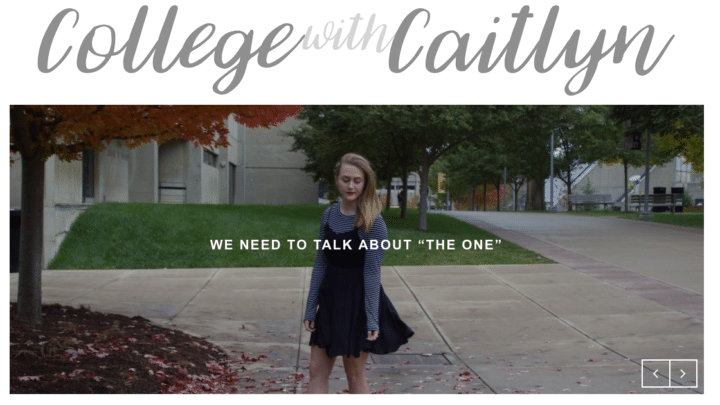 When I think of a real lifestyle blog, Caitlin’s blog comes to mind. She’s in college, and her blog posts are personal and show how she’s living like a college student. 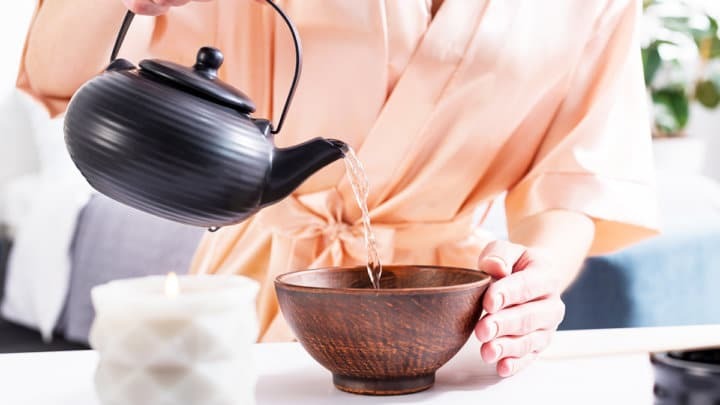 From posts like why she switched to decaf to a post on DIY salon acrylic nails at home, I find it fun to read her posts. Melanie’s blog is a blog about the person I want to aspire to be! The crafty and highly organized mama (which I’m not!!). 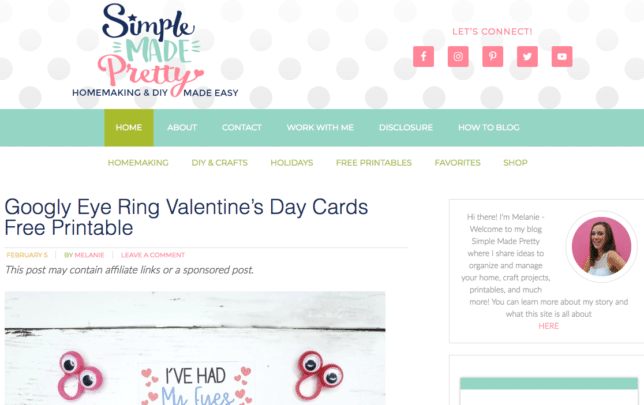 Simple Made Pretty has topics all about homemaking. 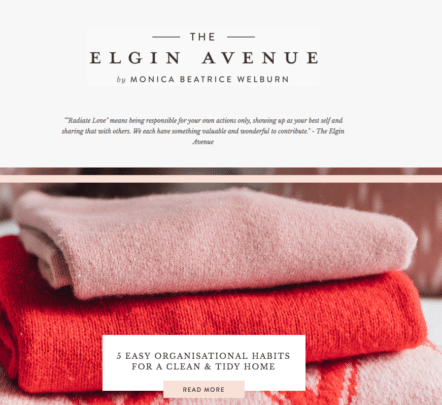 Melanie blogs about cleaning to organizing, from meal planning to budgeting and more! I love her post on how to organize your kid’s artwork and projects from school. Since my twins started school, I need to find a system that works, and this is a great tactic! 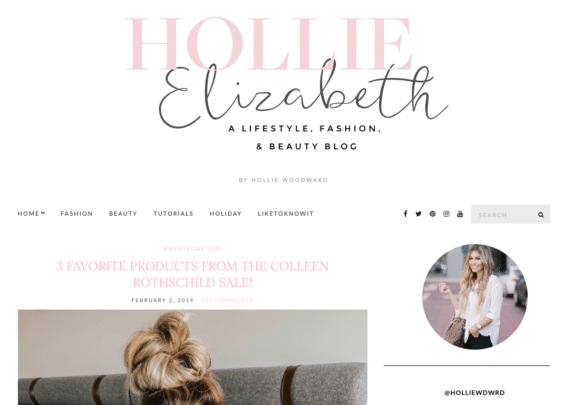 Hollie’s lifestyle blog is so beautiful. She has an amazing style, and her photos are professional and oh so pretty! Her beauty and fashion blog is helping me keep up with the trends! I love her post on the five spring face products she recommends. As a mom to twins with several businesses, I rely on lifestyle blogs to help me keep up-to-date with fashion! Monica’s lifestyle blog is a blog that’s more than just style. Monica talks about what inspires her or what her well-being habits are. Her blog is food for the soul! Chasing Foxes is a very popular lifestyle blog from Silas and Grace. They truly have a lifestyle blog with multiple topics from travel to blogging to food and more. Silas and Grace are successful bloggers, and they also share their blogging journey on their blog. A post on the financial habits of successful women is a post I want to read! Did you know a “business” blog can be a lifestyle blog too? 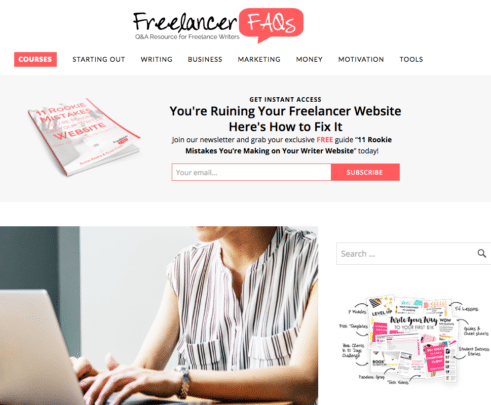 This blog initially was niched down to talk about freelance writing and marketing, but since then, I have widened the niche to include all freelancers and lifestyle topics around being a work-at-home freelancer or side hustler. One of my favorite posts comes from a course student of mine. It’s on how to build a copywriting portfolio. Copywriting is a great service to offer, but getting those “clips” can be a challenge. But Jordan breaks it down for us. Katie’s blog has a substantial social media following, and I can bet she has a large group of ambassadors that adore her. Most of her blog posts are personal, but her audience craves knowing more about Katie. For example, her post on February Goals generated 35 comments and over a 1 million social shares! She’s built a huge social media following and through her gorgeous pictures, and generates income with affiliate marketing and sponsored content. 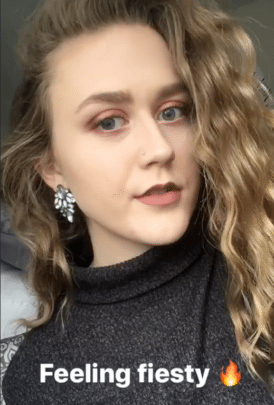 Eimear’s lifestyle blog is parenting based on fashion and beauty topics thrown in. Her blog shares great ideas for parents and for moms that want to be functionally fashionable! I like her take on investing in quality clothes instead of fad pieces. 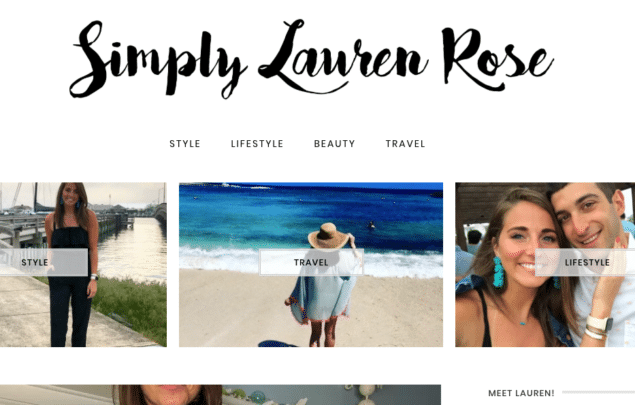 Lauren started this lifestyle blog out of pure passion. She loved clothes and wanted to feature that on her blog. Along with style, Lauren also blogs about travel and her favorite finds. I like her blog post on how she organizes her makeup. She also has a YouTube video to make it easier for me to take action! Did you know that living the digital nomad is a HUGE aspiration for many people? Aileen is showing people how to live a nomad life through her lifestyle blog. At the age of 21, she quit her job and made it a goal to travel. And she’s been a digital nomad for 5 years and making a living too! Here’s her ultimate guide to becoming a digital nomad. 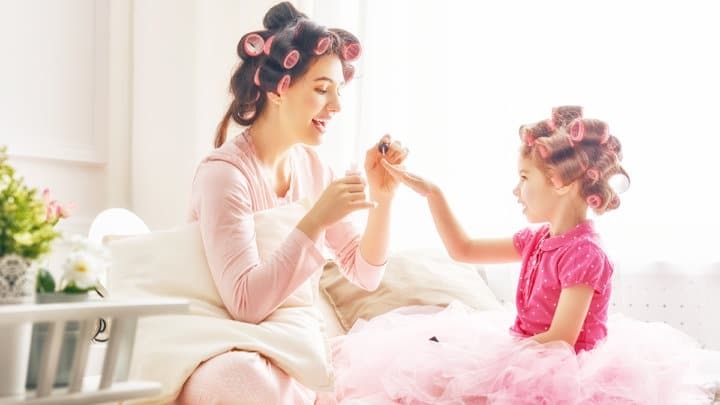 Aly’s blog, What Moms Love, is a parenting lifestyle blog filled with gorgeous photos, but also very great advice for parents. I love Aly’s blog, and I’ve been following Aly for years now. What I love are her ultimate guides like this art supply guide! Genius! Her lifestyle blog makes money with sponsored content. But, what she does is publish sponsored content on Instagram. If you’re interested in starting a lifestyle blog, you might be wondering how you can grow that blog quickly. The best way to promote a lifestyle blog is to use visual platforms and to brand yourself. Let’s dive deep into these tactics. The three biggest visual platforms you should use are Pinterest, Instagram, and YouTube. I would venture Instagram to be more critical than Pinterest for sponsors and your audience. But, that’s not to say you can’t build your following on Pinterest. 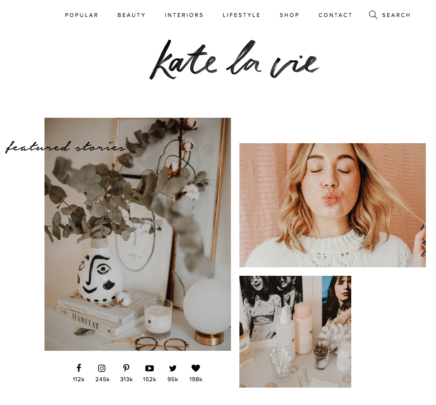 Kate La Vie’s Pinterest profile has over 300,000 followers! Pinterest is a highly visual search engine, and you can use this to your advantage. By saving your beautiful photos to Pinterest, you are giving them new and fresh content that followers will devour. A simple picture of your living room can provide pinners with lots of things to save. So, as a lifestyle blogger that blogs about decor, fashion, beauty, and travel, you can highlight your photographs on Pinterest. Instagram is an important platform for lifestyle bloggers because you can use this platform to build your brand. With Instagram Stories, you can cultivate a strong following with your stories. Finally, YouTube is a visual platform that can help lifestyles not only brand themselves but create an entire YouTube Community. Not all lifestyle bloggers use YouTube to promote their lifestyle blog. YouTube has its own strategy in terms of creating YouTube videos that get noticed. But, it’s a great medium to share beauty tutorials, home decor tutorials or lifestyle videos. 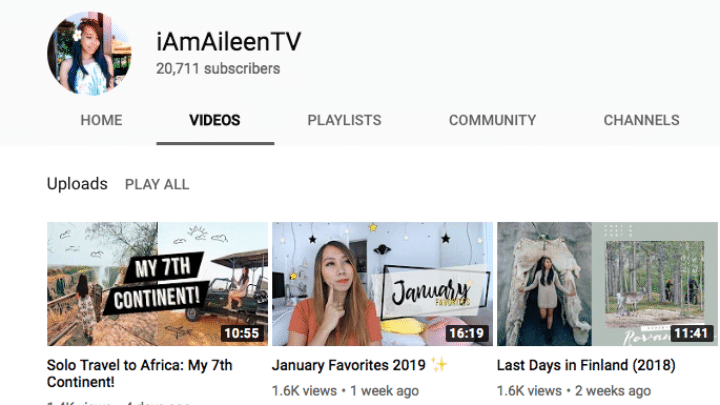 I Am Aileen has a YouTube Channel with over 20,000 subscribers, and she loves to share her lifestyle content. The secret to growing your lifestyle blog is building that personal brand with your followers on these visual platforms. Your audience is investing in YOUR LIFE, and how you blog about that, so photos and videos are a big tactic for these types of niches. Lifestyle blogs are fun projects and that turn into a way to make money blogging. So, if you have a desire to share your beauty secrets, or what you’re wearing for the day or how you decorate your home office, a lifestyle blog is your thing! If you have a lifestyle blog, please share it in the comments and let me know the inspiration behind your blog! I love visiting new blogs! Hi Elna…I just wanted to say a very BIG thank you for this post. I’ve been wanting to start a lifestyle blog for a while now, I even have about 40 posts written. Everywhere I look people are saying ‘niche’ down if you want to make money blogging so I have been on the fence, and not sure how or if I should move forward. Your post has inspired me to take that chance and push the ‘publish’ button. I need to follow my heart on this one…thanks for nudging me in the right direction. I’m so glad you are following your instinct and passion! You have to go with your gut and if you want to have a lifestyle blog, then work with it! It totally can make you money in the future!! Yay! Great post! I think I’m a lifestyle blogger…but maybe I’m a niche blogger?? I blog at https://greenily.co about green living and how I make it easily fit into our life – and how other families can do it too. Just starting to pitch companies for sponsored posts and growing my audience! Thanks for coming over!! That’s great you have a lifestyle blog! I commend those who start lifestyle blogs! I personally love being more “niche”, but I follow so many incredible lifestyle blogs that are killing it at what they do. I haven’t heard of some of these blogs, but I’ll be checking them out for sure. Boss women always pique my interest! Thanks so much! Yes, lifestyle blogs are awesome. I’m learning more about how they promote their blog and how they build a community! Thankyou for shedding some light on the lifestyle blog! They’re all so different and that gives me confidence as I try and navigate my way thru my own blogging journey. Yes! I know, right? The community and brand they built is inspiring for sure! It’s a whole other side of blogging that is new to me! Hi Elna! I’m a member of your FB group! As always, this is another great post:) I will have to check out the blogs you mentioned- I already follow Southern Curls and Pearls and agree with you that it is fantastic! I have a Motherhood/Lifestyle blog http://www.meatballmom.com. The name comes from three things that are special to me: being a mother, my Italian heritage and family meals together. I was a pharmacist before staying home with my kids. I’ve always enjoyed giving advice and helping other people. Blogging has allowed me to incorporate things I enjoy doing while also using my creative side! Thank you so much! Love Love Love your blog name! That’s awesome and I’m sure your blog is amazing and helpful! Thanks so much for stopping by!